It's 01:00 in Hillsborough, USA right now. Hillsborough High School A webcam in Hillsborough, New Jersey - camera location: Hillsborough High School. Princeton, New Jersey: Princeton Plasma Physics Laboratory Weather, 10.2 miles away. East Brunswick, New Jersey: Middlesex County Vocational Techincal Schools, 13.9 miles away. Scotch Plains, New Jersey: Union County Vocational-Technical Schools, 17.1 miles away. 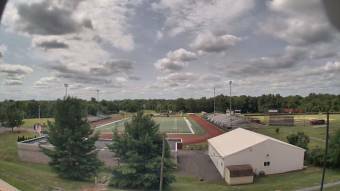 Long Valley, New Jersey: Cucinella Elementary School, 20.3 miles away. Long Valley, New Jersey: Old Farmers Rd Elementary School, 20.3 miles away. Trenton, New Jersey: Village Charter School, 20.9 miles away. Morristown, New Jersey: Morristown Beard School, 21.7 miles away. Asbury, New Jersey: Bethlehem Township SD, 23 miles away.